Game Warden Tib Wilson moves smoothly through the community he serves, raising no eyebrows now that the woman he loves has found happiness with another. But his complacency is about to end with the arrival of a tall blonde with an attitude. Assuming the job as head of media for the Bone Cold–Alive organization less than a week before Eddie C’s wedding is a headache SC Ward could have done without–if she wasn’t so desperate. Finding herself a stone’s throw from the end of the world is bad enough, but being attracted to a good man–the game warden, no less!–is a complication any woman could do without. Welcome back to Jinks, Texas, where the weekend is in full swing. 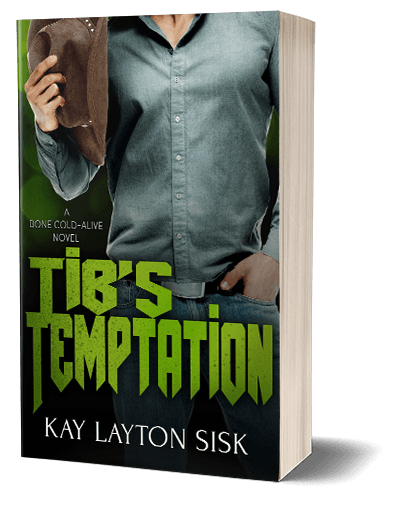 There’s fuel aplenty for the gossips, but everyone’s eyes are on Tib’s Temptation.